Simon Mignolet and Loris Karius are currently competing for one spot in Liverpool’s side between the sticks, but put that behind them to go on a specially organised night out – just for keepers! Mignolet was speaking after his impressive performance against Middlesbrough on Tuesday evening, where he kept his 50th clean-sheet for Liverpool since arriving at the club from Sunderland in 2013. On a personal note, it couldn’t have come at a better time, considering he’d just been selected over Loris Karius, with the German dropped after clangers versus Bournemouth and West Ham. Karius was visibly gutted on the bench, but will now have to knuckle down on the training ground and prove his mettle when he’s next called upon. “We have got our ‘goalies union’ Christmas dinner tomorrow so we will go out for food,” Mignolet told the Irish Independent. “All the goalies at Melwood will be going! We hope they had fun! It must be a strange situation for Mignolet and Karius. 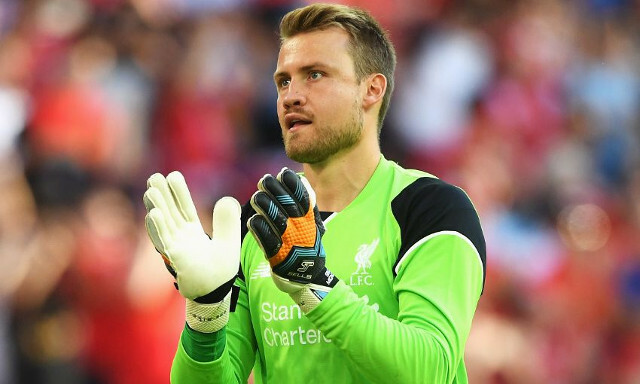 Over the past three months, Mignolet has been out of the side, and the only way he’d get back in (something he was desperate to happen) was if Karius got injured, suspended or played poorly – so is he sat on the bench hoping for this? Professionally you’d hope not, but from a personal perspective, it would be tricky not to.